Knock on wood. I have had no major problems. 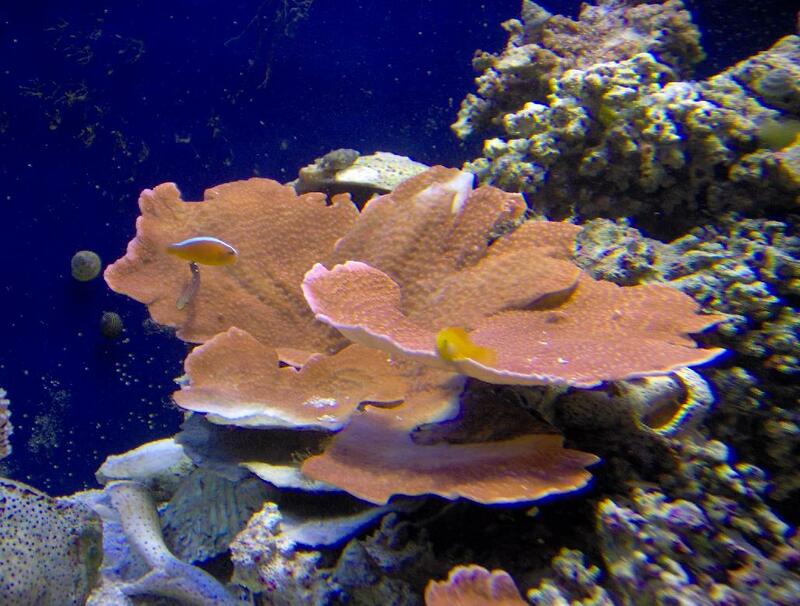 No bad algae, no flatworms etc. I did have a bit of a problem with fish deaths, but it looks like the cause of that was a predatory pistol shrimp (has since been captured and resides now in the sump). I've done two major equipment upgrades this month. The first is that I have installed 2 PFO mini-pendants which are 250W. It took a bit of trial and error to find bulbs with colour that I like, but I finally settled on 14K Phoenix bulbs from Redbelly. 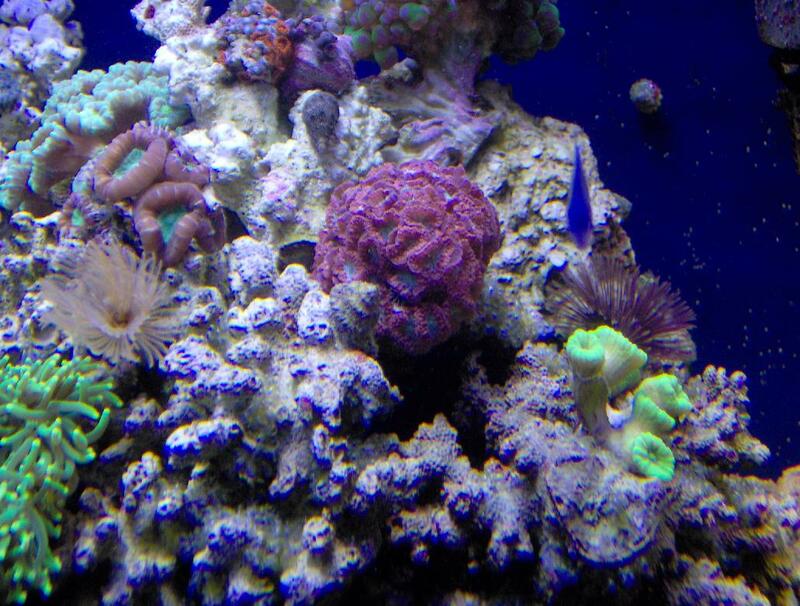 Those, along with 4 actinic VHOs make the corals look absolutely stunning. The only issue that I have is the heat. The mini-pendants get hot. Hot enough that they make me nervous running them when I'm not home, so I need to get a couple of fans on them. Unfortunately, fans seem to be a very seasonal item at Canadian Tire, Walmart etc. The other major upgrade was a new pump for the closed-loop. It is now running off of a Quiet One 6000. I had it running off of a MAG 950, and while it was adequate, the pump just died. 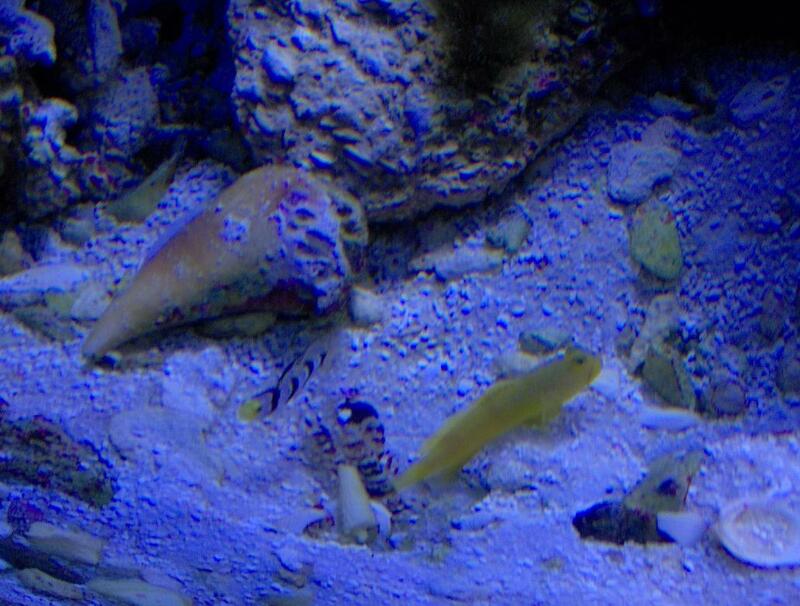 1 Yellow Watchman Gobie, 1 Red Stripped Hi-Fin Gobie and one Tiger Pistol Shrimp - all three paired (or I quess tripled). ~120 various blue-leg hermits and snails. I decided a while ago, if I ever get around to upgrading my MH bulbs, they are going to be the 14k phoenix bulbs aswell. My better half announced that a co-worker of her's was coming over on Saturday night and she showed up with her camera. 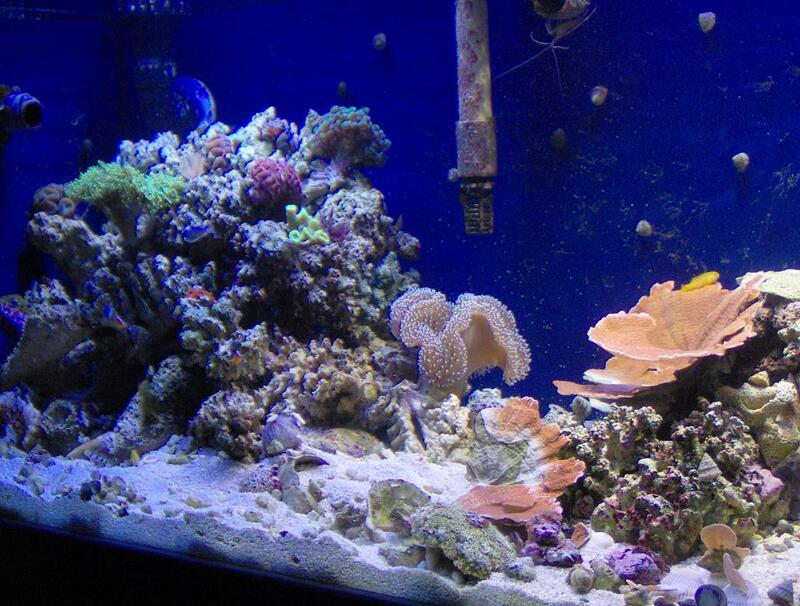 Apparently she is a bit of an amateur photographer and wanted to take pictures of the tank. I'm happy to say she took some amazing shots. Here is a link to her flikr account. Note that the Siamese Fighting fish are her's, not mine. Yep, I'm pretty happy with how everything has gone. 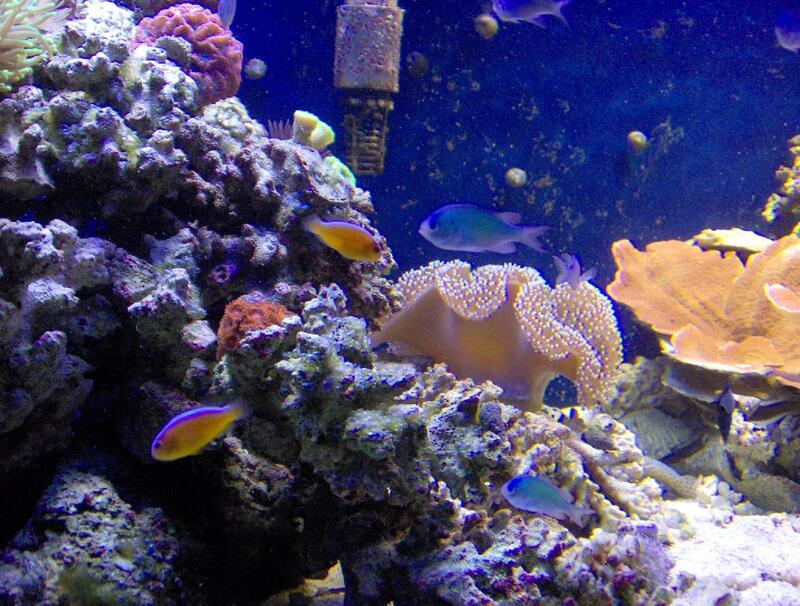 Minimal livestock deaths, no severe algae problems etc. 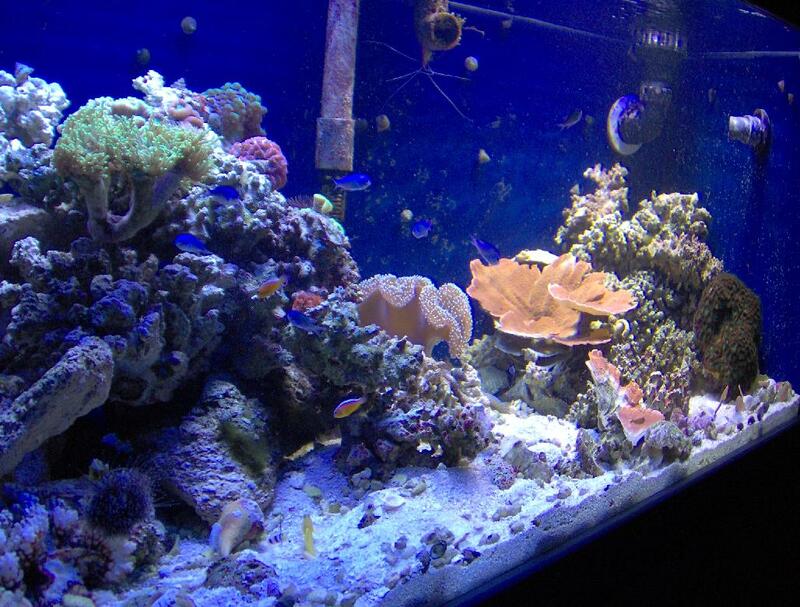 I'm now at the fun part....stocking the tank!